Construction on the Union Pearson Express (UP Express) rail line linking Toronto’s Union Station to Pearson International Airport will be completed in time for the 2015 Pan/Parapan Games. Image courtesy Metrolinx. Construction is slated to begin next month on a transit expansion project linking Toronto’s Union Station to Pearson International Airport. 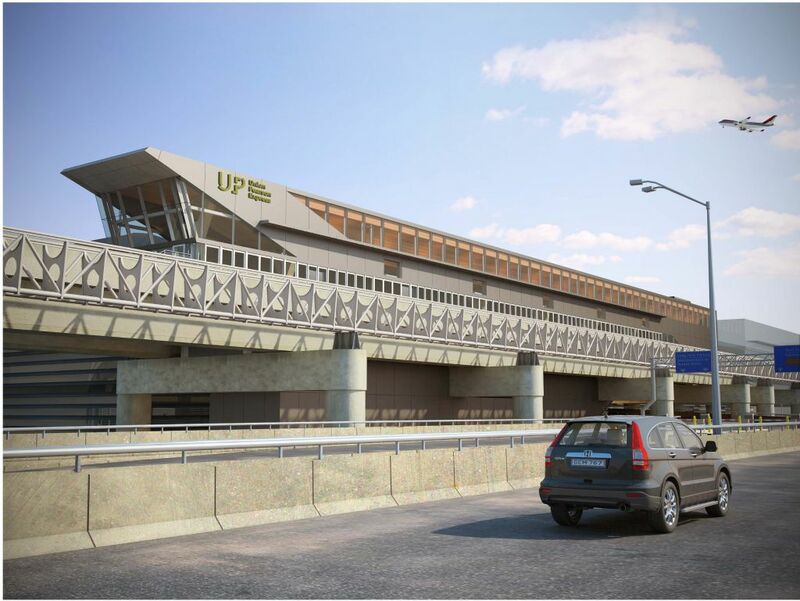 The Union Pearson Express (UP Express) will be completed in time for the 2015 Pan/Parapan Games, linking travellers to Toronto Transit Commission (TTC), GO transit, and VIA services through Union Station’s Skywalk. The 23.3-km (14.5-mi) rail will connect the new facility at Union to the airport’s Terminal One in 25 minutes, departing every 15 minutes. The station design came from elements of the provincial landscape, Ministry of Transportation (MTO) spokesperson, Ajay Woozageer explained to Construction Canada Online. As the annual number of cars travelling from the city to the airport is predicted to reach nine million by 2020, the hope is the rail line significantly cuts down on traffic. “It will also help boost economic growth across the region—creating jobs, easing traffic congestion, and it will be a critical enabler of economic growth for businesses in communities across the Greater Toronto and Hamilton Area (GTHA),” said Woozageer.